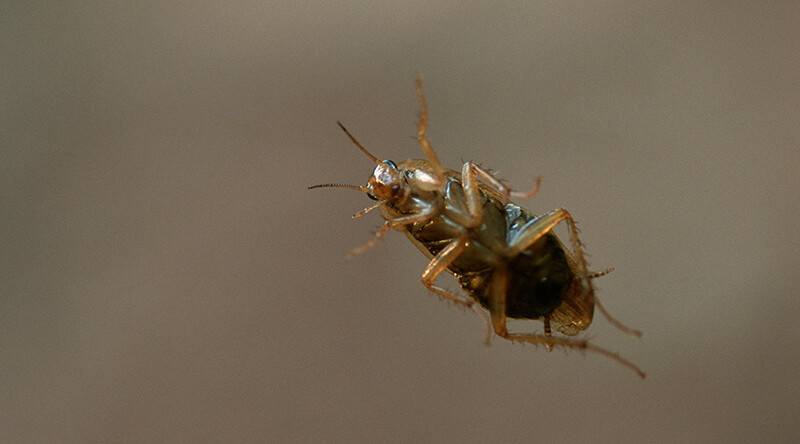 Cockroaches are known for their resilience. It turns out they can even survive inside your skull for a certain amount of time, as one Indian woman learned the hard way. The woman, identified only as “Selvi,” presented herself to doctors earlier this week at Stanley Medical College and Hospital in Chennai, India. It’s thought that when Selvi went to sleep on Tuesday night, the cockroach made its way up her nose into her nasal cavity and through to her skull base, between her eyes, close to the brain. Selvi woke from her slumber due to “a tingling, crawling sensation,” which she understandably thought didn’t feel right. "Whenever it moved, it gave me a burning sensation in my eyes,” she told The New Indian Express. “I spent the entire night in discomfort, sitting up and waiting for dawn to go to Stanley hospital after getting the reference of a doctor from my employer." More creepy crawly stories on Twitter- Yesterday it was Live Cockroach in the nose. Today, it is Live Cockroach found inside the head! Doctors pulled a live cockroach from a woman's skull. Everytime a light bulb would go off in her head, the roach would disappear. "If left inside, it would have died before long and the patient would have developed an infection which would have spread to the brain,” Dr M N Shankar, head of the hospital’s ear, nose and throat department, told the newspaper. The 45-minute operation involved doctors having to “drag” the cockroach to part of the skull where they could then pull it out. To make matters more complicated, the cockroach clung to tissues inside the woman’s head, forcing doctors to use clamps and suction to remove the insect, according to The Times of India. The insect had been inside the woman’s head for almost 12 hours.